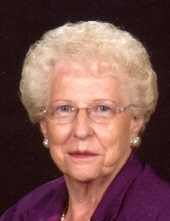 Elaine A. Pflugardt, age 90, of Plover, WI died on April 3, 2019 at the Atrium Assisted Living in Stevens Point, WI. Elaine was born May 18, 1928 to the late Carl and Anna (Ceplina) Russell in Stevens Point, WI. She grew up in the area, attended the local grade schools, and graduated from P.J. Jacobs High School. She married Earl Pflugardt on October 30, 1943 at the St Joseph Catholic Church Rectory in Stevens Point. Elaine dedicated her life to her household, raising a family, and to her faith. Her love and support as a wife, mother, and grandmother was evident in everything she did. Elaine loved to cook and bake; she always made sure her family was well fed and cared for. Elaine also enjoyed attending her children’s events and sporting events; in addition to family travel. Elaine was a member of St Joseph Catholic Parish, the St. Ann’s Society, and the Catholic Christian Women; and belonged to the Red Hat Club and the American Legion Auxiliary. Elaine will be remembered for her warmth and dedication. Survivors include her daughters, Bobbette Plowman and Karen Lynn; sons, Patrick (Lorraine) Pflugardt and Thomas (Elizabeth) Pflugardt; brother, Robert Russell; 8 grandchildren; 4 great grandchildren; and extended family members. She is preceded in death by her parents; husband, Earl Pflugardt; son, Jim Pflugardt; and siblings, Laurence, Mae, and Ruth. A Funeral Mass will be held 11:00 a.m., Wednesday, April 10, 2019 at St Joseph Catholic Church in Stevens Point, WI with Rev. Jerzy Rebacz presiding. Visitation will precede on Wednesday from 10:00 a.m. until the time of the service. Burial will take place in St Joseph Catholic Cemetery. To send flowers or a remembrance gift to the family of Elaine Ann Pflugardt, please visit our Tribute Store. "Email Address" would like to share the life celebration of Elaine Ann Pflugardt. Click on the "link" to go to share a favorite memory or leave a condolence message for the family.